Presidents’ Day is right around the corner and I have been thinking about apples. Specifically, the expression, “American as Apple Pie.” Odd transition, perhaps, or perfectly logical depending on one’s viewpoint. I finally decided it was time to get to the bottom of this. I mean, really, I do not think Christopher Columbus arrived here and said, “This land is as American as Apple Pie!” So who started it? Was it George Washington or perhaps Abraham Lincoln? NOPE! No one knows exactly who coined the phrase, but it has only been on our roster of witty sayings since the 1960’s. Some articles suggested that apple pie was a status symbol at one time because only the wealthy could afford to bake pies. Yet, by the 1960’s everyone was making pies, well almost everyone…I was too young to bake my own; so the status symbol hardly held true. What does all this mean for me? I could finally stop thinking about that darn expression and bake something with apples for Presidents’ Day. I know after all of this you are no doubt expecting me to blog about a delicious apple pie, but guess what? I was not in the mood for apple pie. I had been to two different restaurants recently that had incredibly tasty apple tarts and those have been on my ‘craving’ list. It took a couple of tries to get the crust, filling and topping just right, but that is one of the many reasons I love my friends, a.k.a, human guinea pigs. 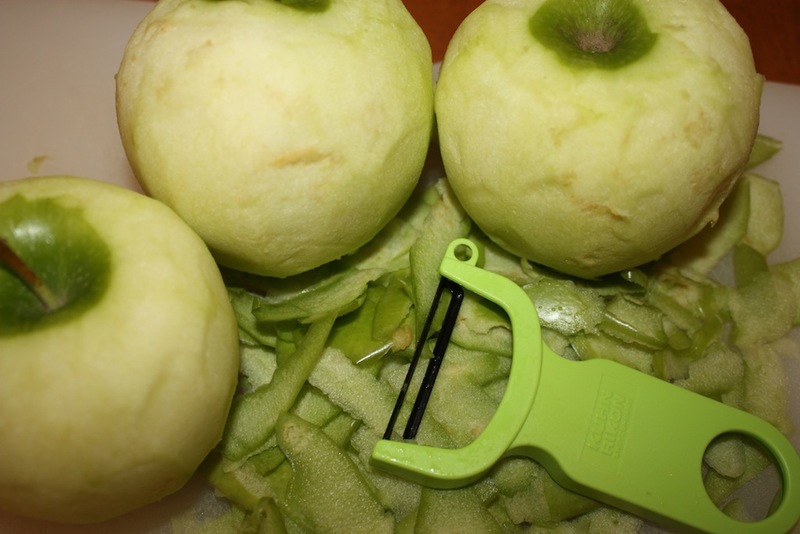 The filling is made with Granny Smith apples, which I generally do not use alone. 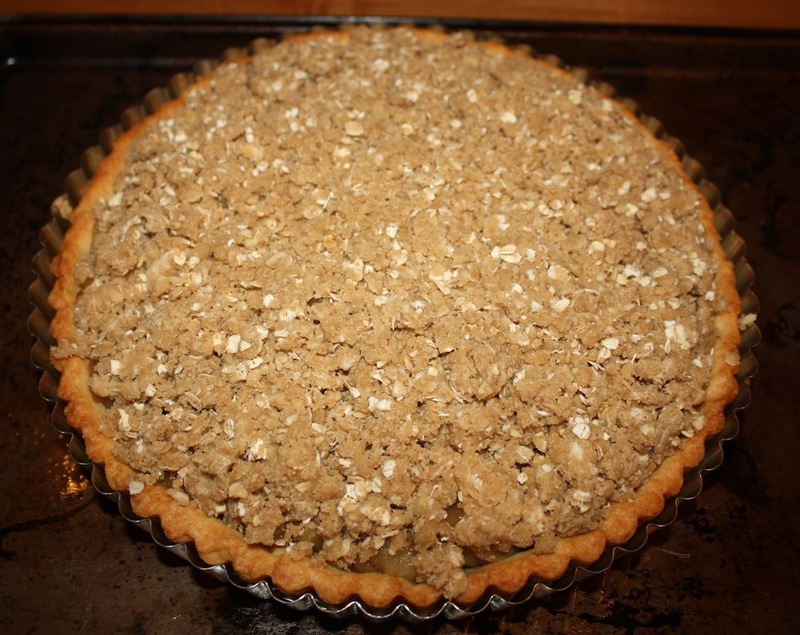 But I decided that with a sweet crust and streusel topping, the tart needed the green beauties to stand on their own. 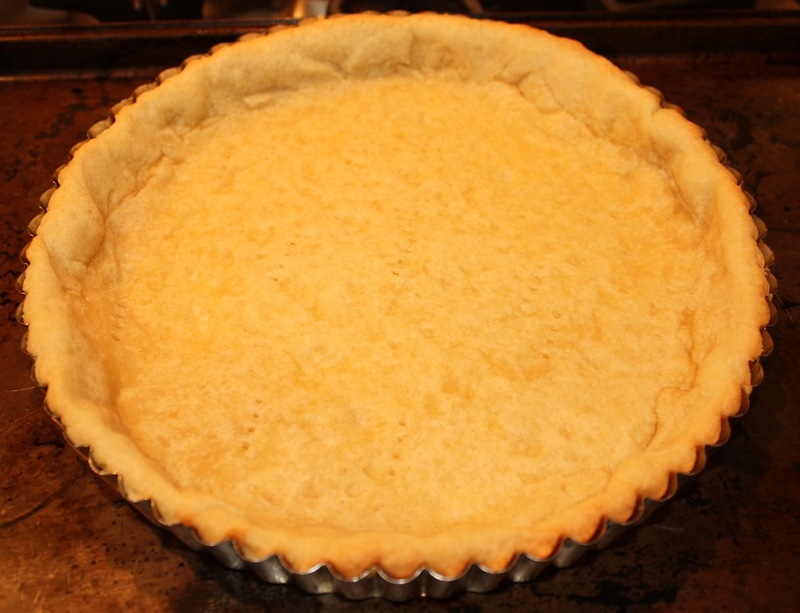 A real bonus for this tart is that all of the layers can be made ahead of time. 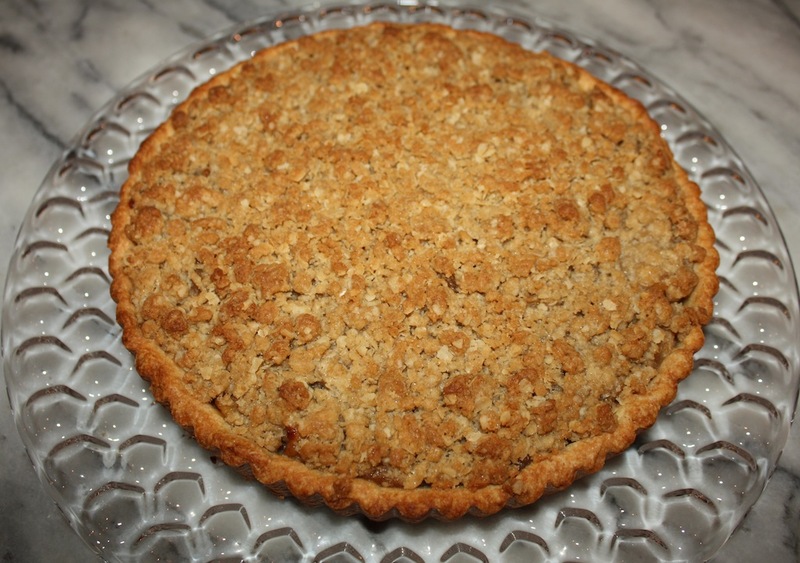 The crust may be rolled out and frozen in the tart pan, the filling may be prepared a day ahead of time and refrigerated overnight as can the streusel topping. 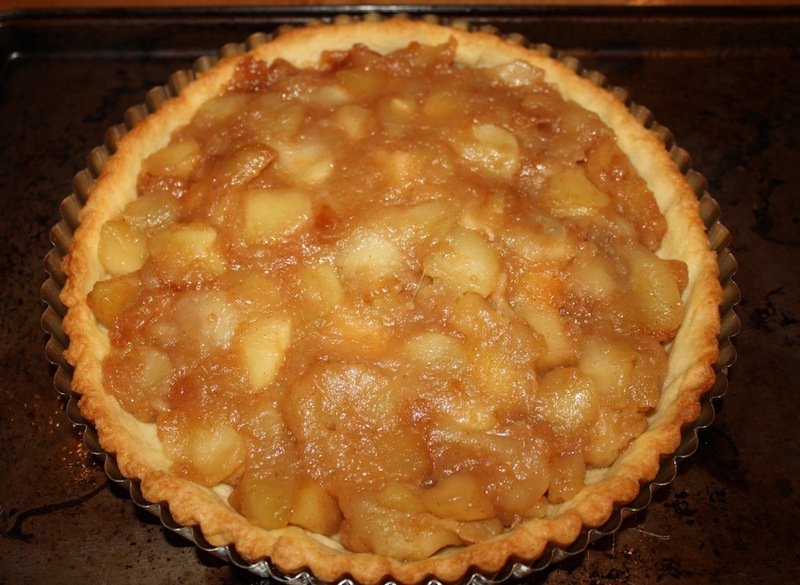 “American as Apple Tart” may not replace, “American as Apple Pie,” in day-to-day conversation, but for purposes of this blog, it’s a much better fit. No status symbol attached to this tart, just plain ole’ American goodness with each and every bite. 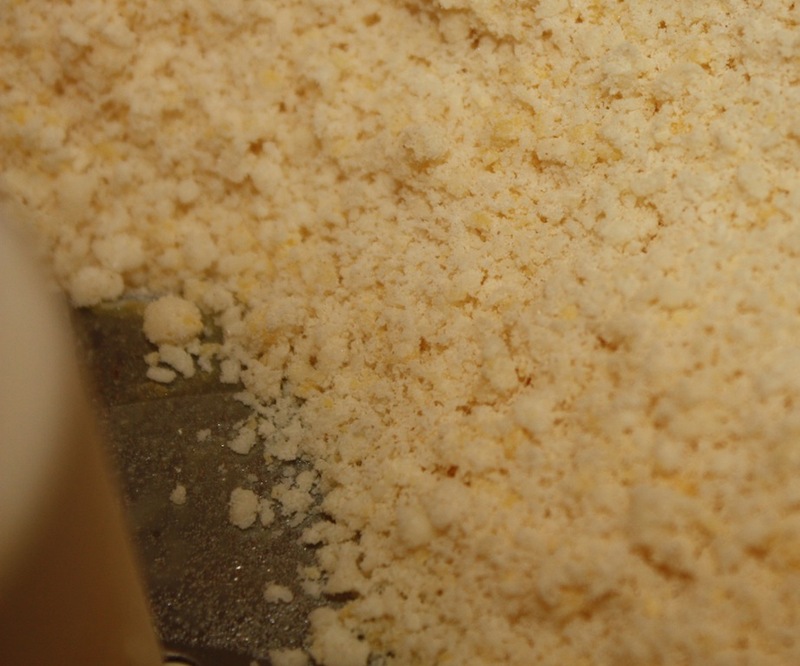 Combine flour and sugar in a food processor. Pulse on/off to mix. Add butter and pulse on/off until butter is the size of baby peas. 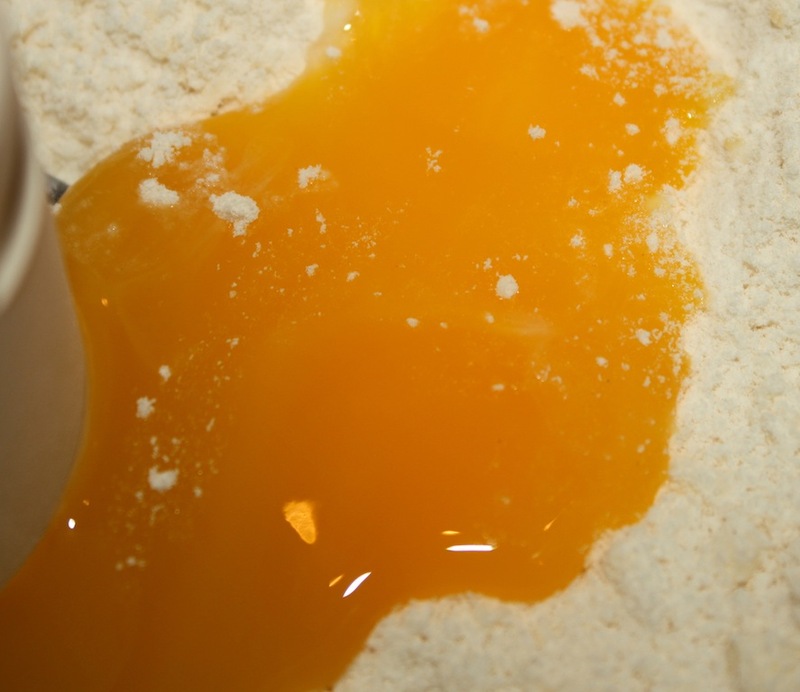 Add egg yolk. 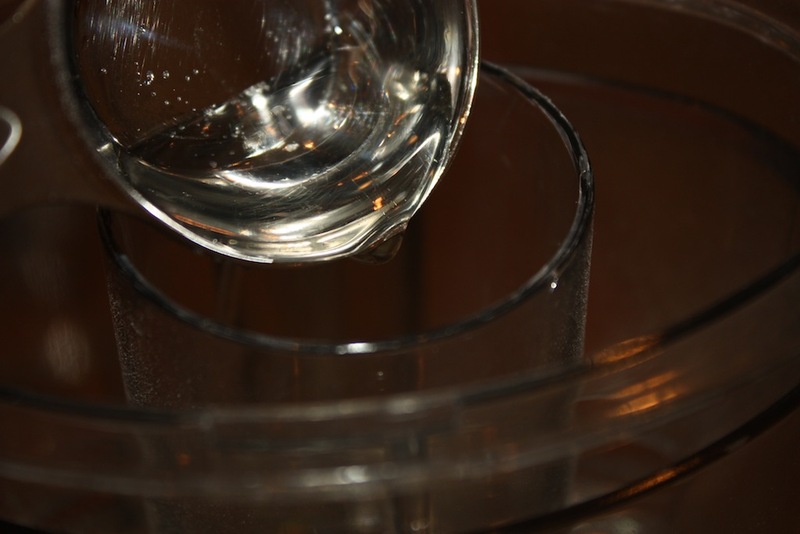 While pulsing on/off, add ice water and mix just until dough becomes a ball. Transfer ball to a sheet of wax paper and shape into disc. Wrap up and refrigerate for at least one hour. Preheat oven to 400°. 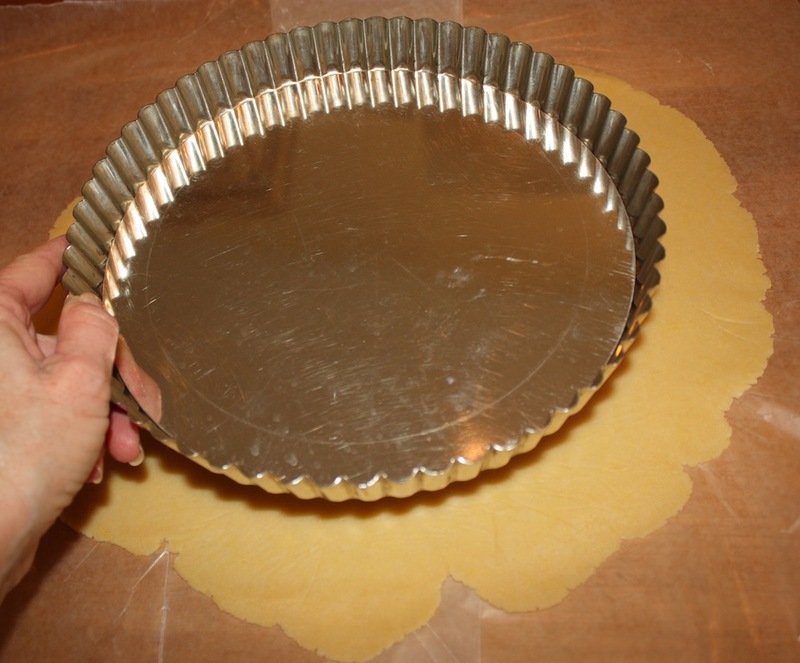 Set aside 9” tart pan with removable bottom. 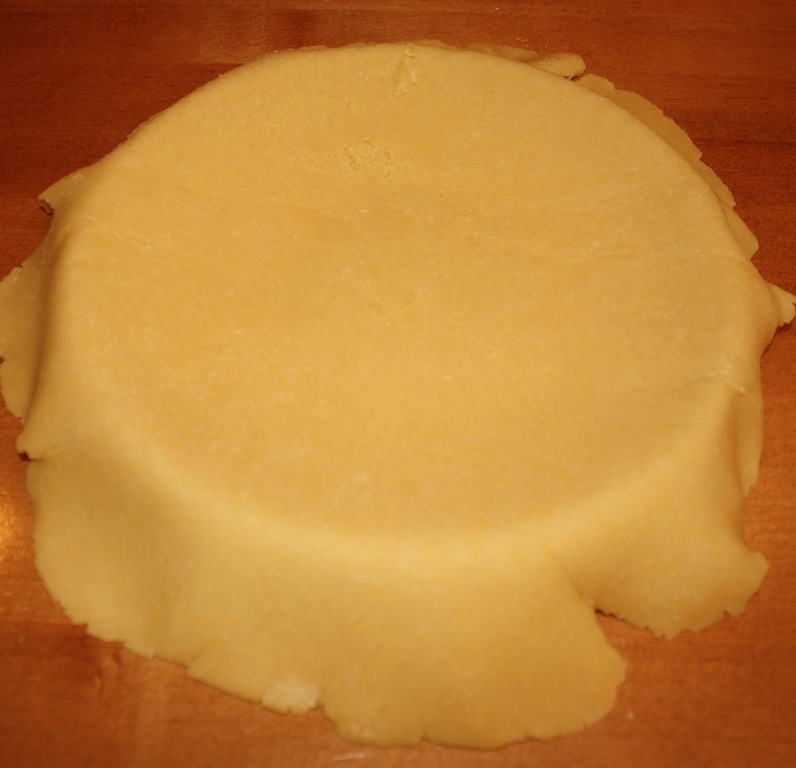 Roll out dough, either on a lightly floured surface or between two sheets of wax paper, so that it is large enough to fit into a 9” tart pan. 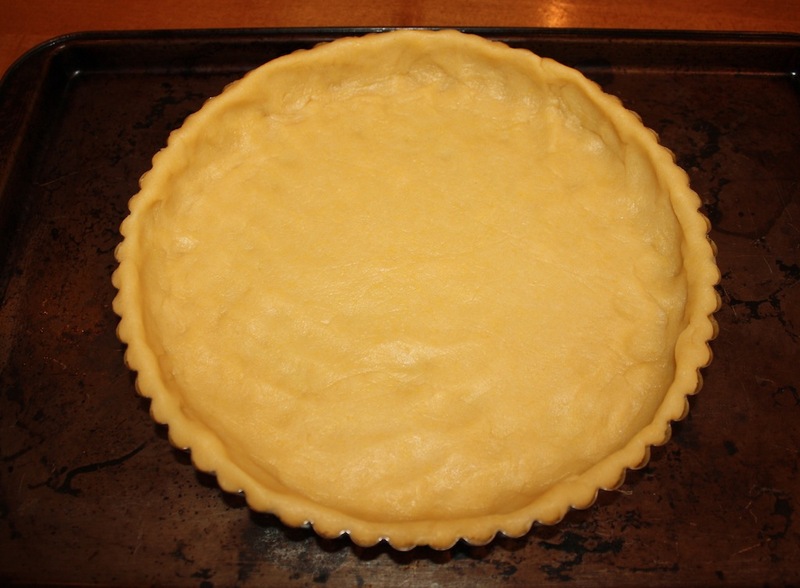 Spray tart pan with cooking spray (i.e. 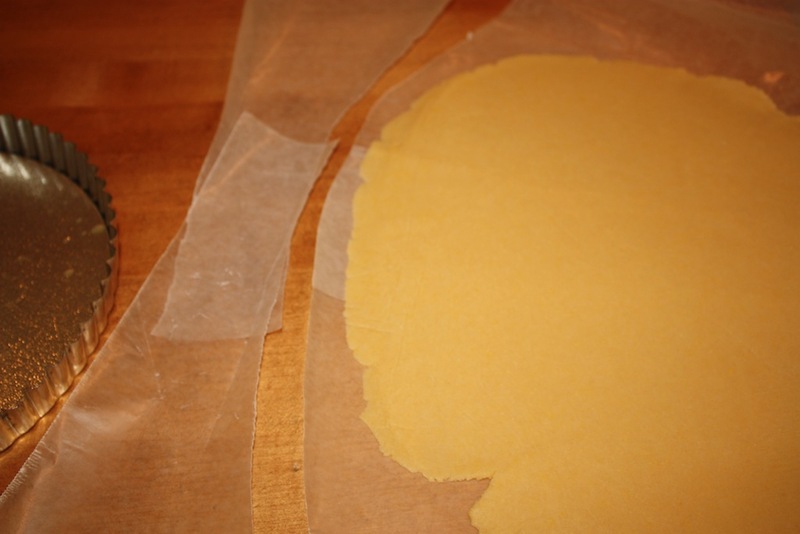 Pam) and transfer dough to pan. 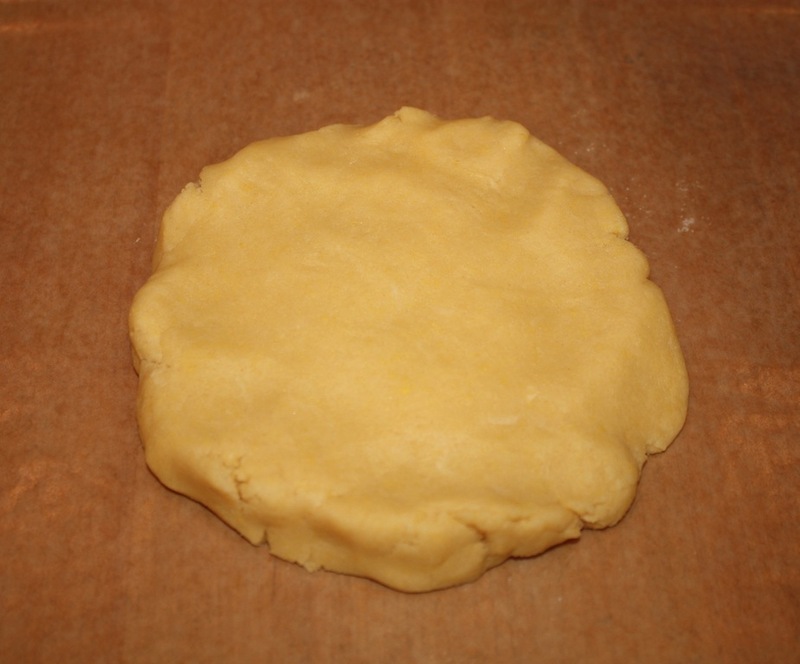 Fold excess dough into pan to support outer edge. Prick with fork and freeze for 15 minutes. 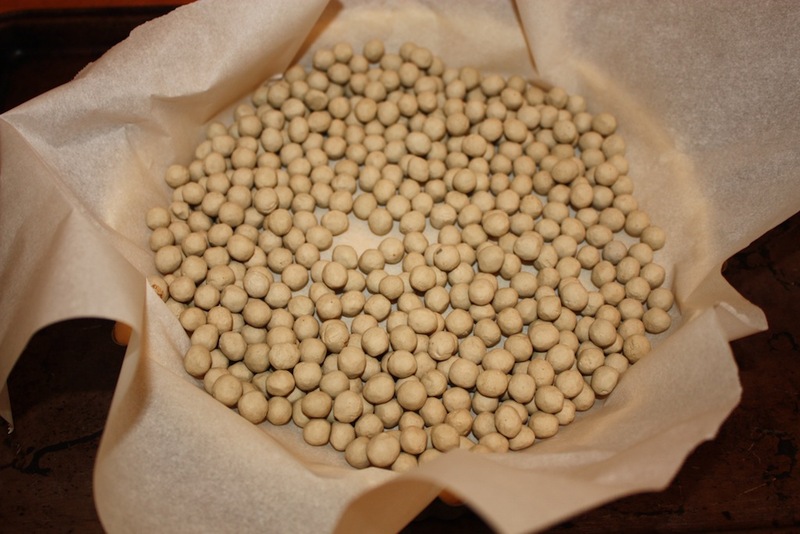 Place on baking pan, line tart with parchment paper and fill with pie weights. 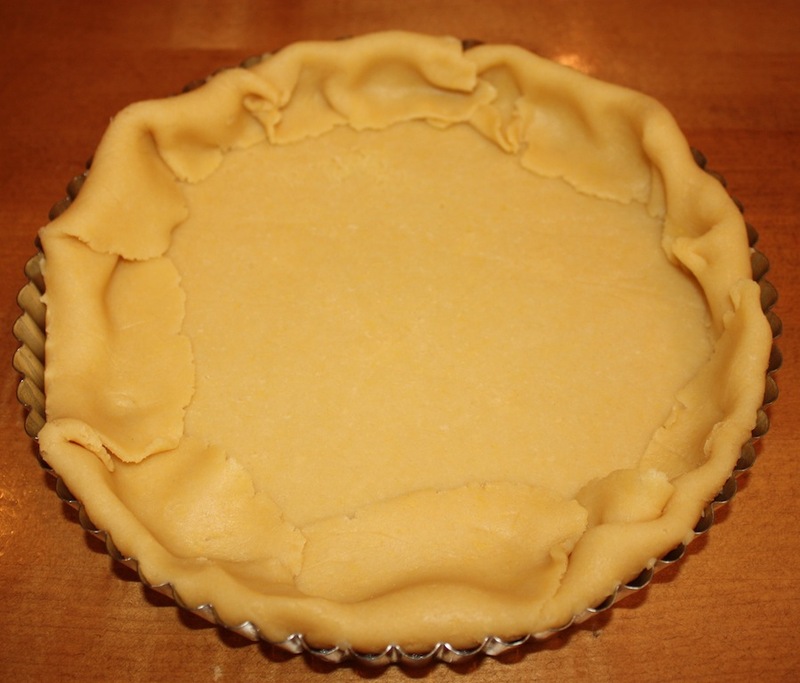 Bake until edges are light brown. 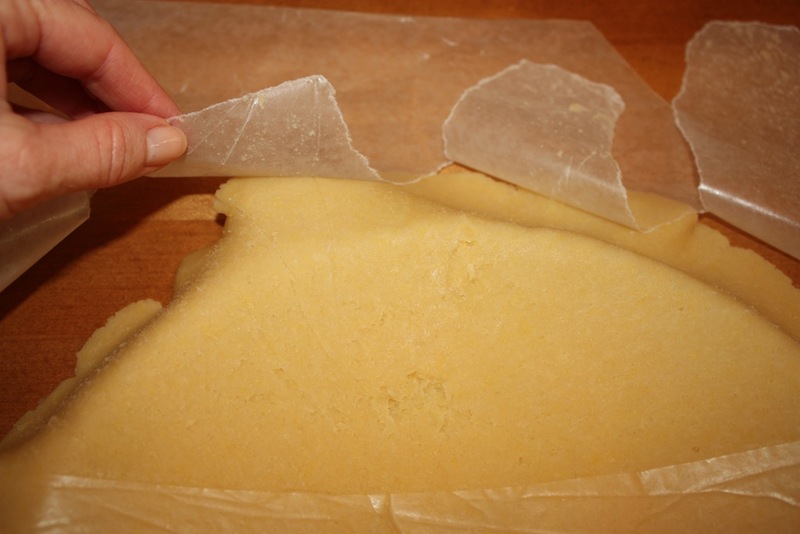 Remove parchment paper and bake additional 5 minutes. Remove from oven and cool completely. Melt butter in sauté pan. 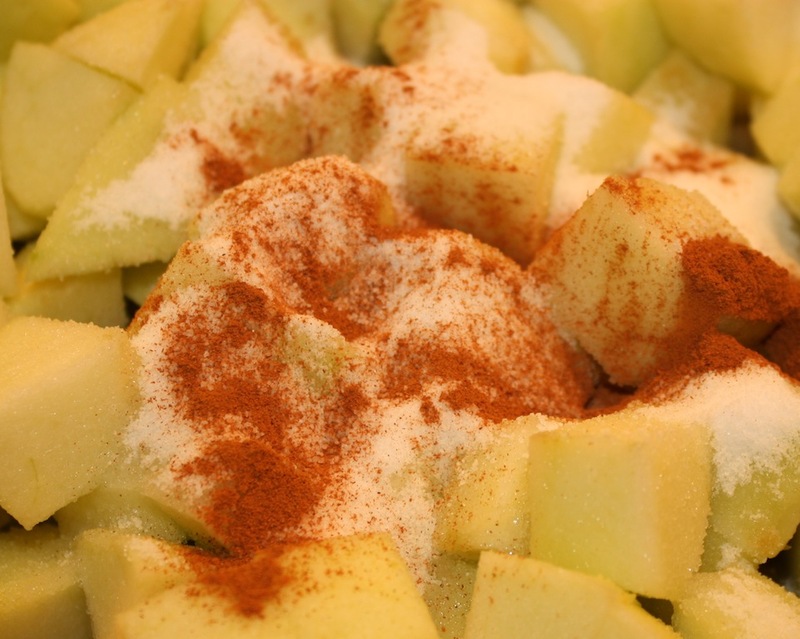 Add apples, sugar, lemon juice and cinnamon. 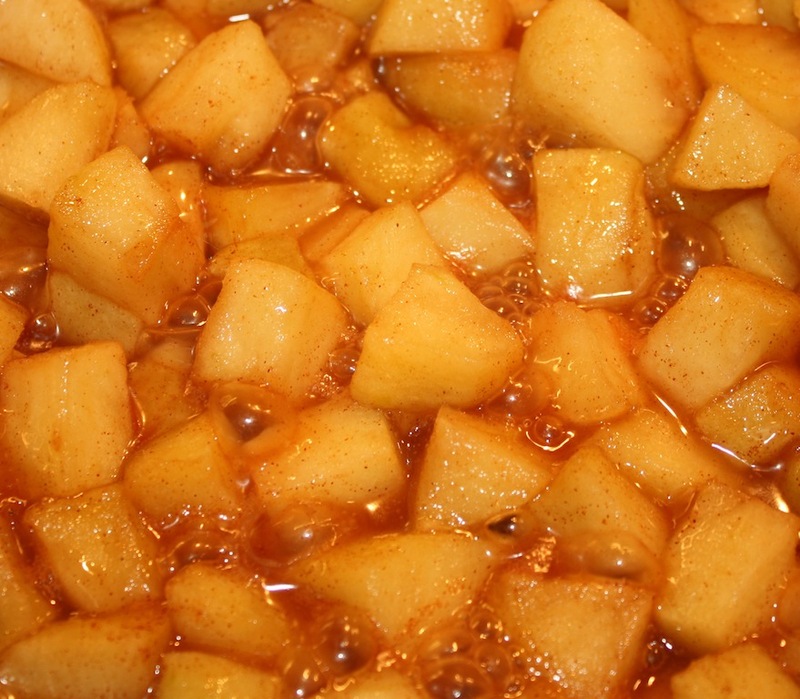 Saute over medium heat until apples are tender and all juices have evaporated. Cool completely. 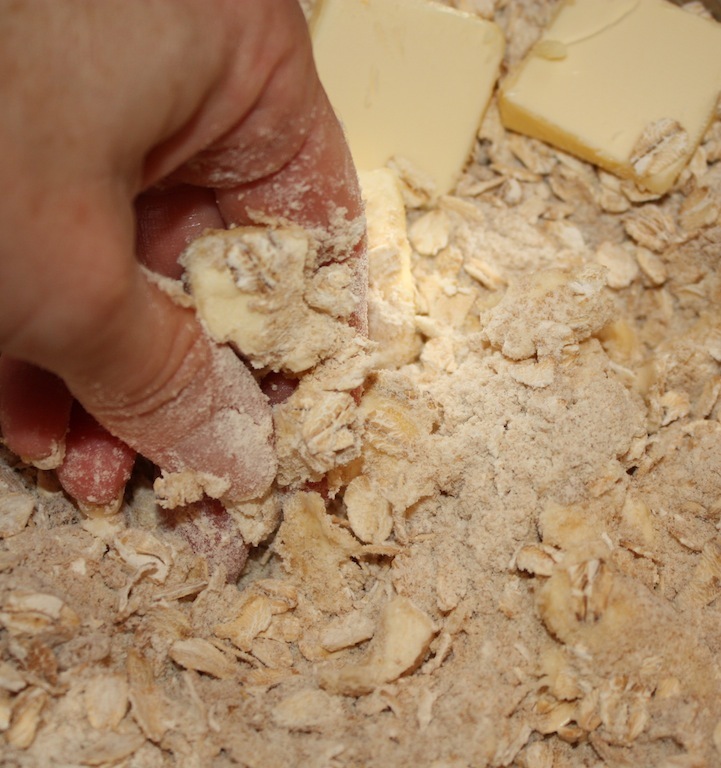 Stir flour, oats and brown sugar in small bowl. 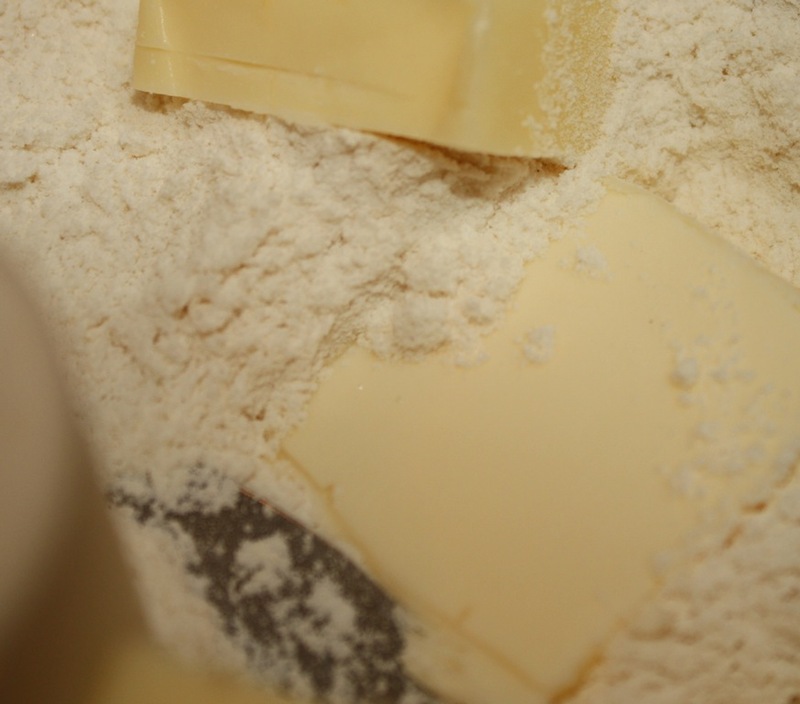 Use a fork or fingers to blend in butter. Set aside. Preheat oven to 350°. 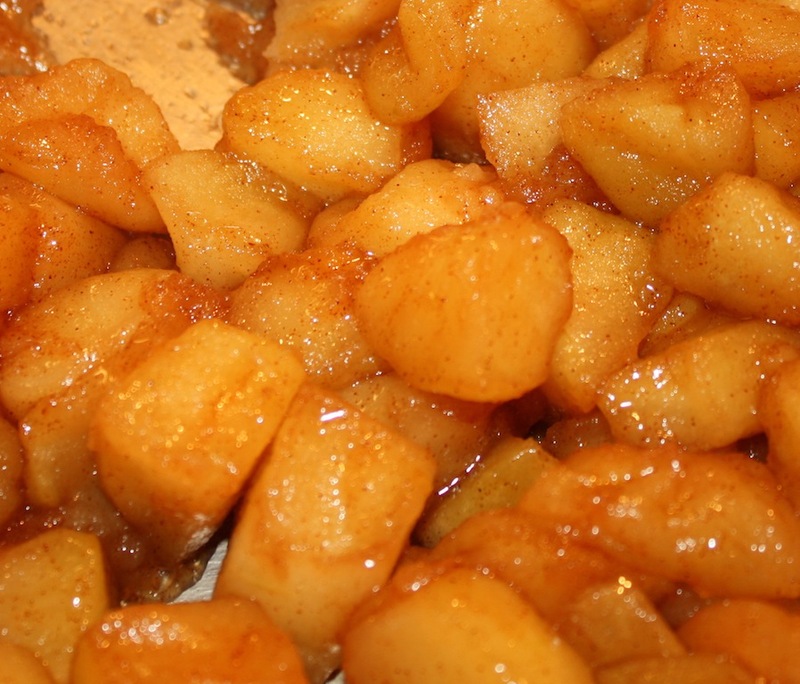 Once tart shell and apples are cool, transfer apples into pan. 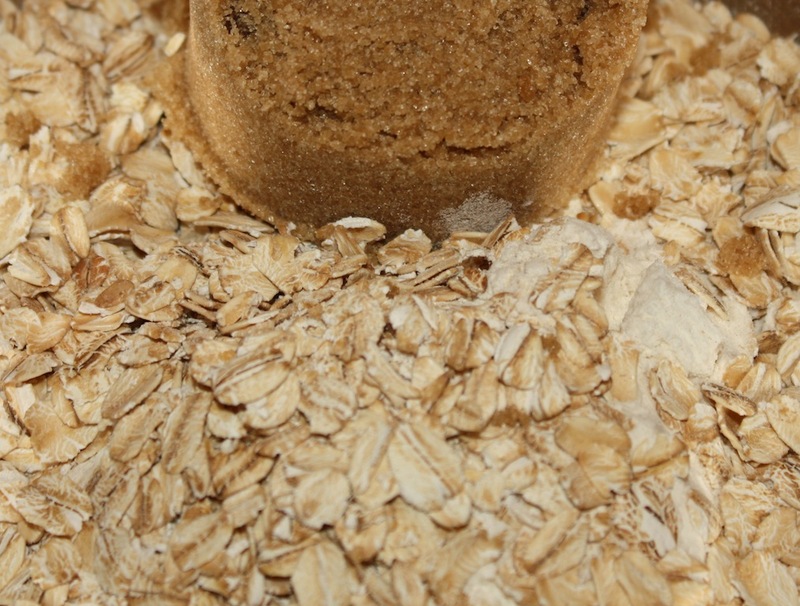 Cover with streusel topping. Bake on baking sheet in 350° oven for 30-35 minutes, until top is golden brown. Cool completely. Once cool, push tart up to remove side of pan. Use large metal spatula to gently slide tart onto serving plate. A real bonus for this tart is that all of the layers can be made ahead of time. 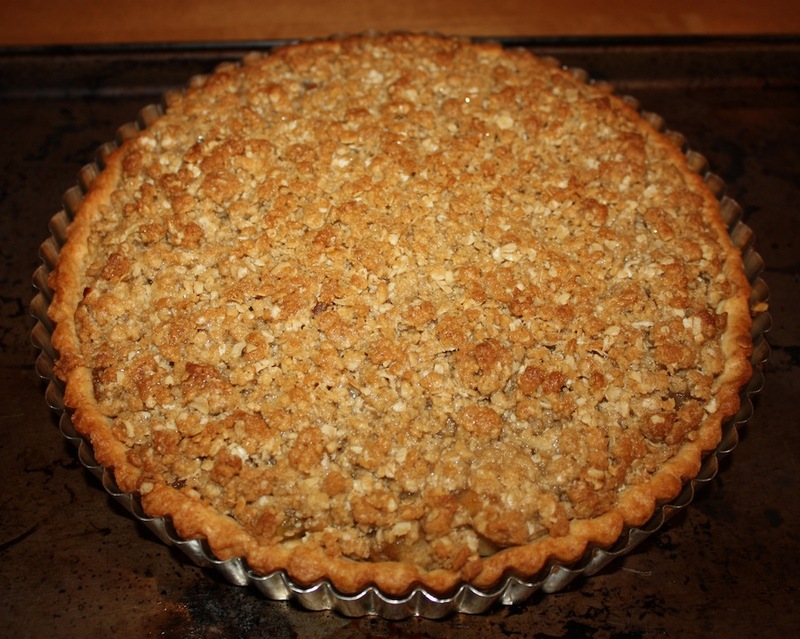 The crust may be rolled out and frozen in the tart pan, the filling may be prepared a day ahead of time and refrigerated overnight as can the streusel topping. Additional time is needed for refrigeration and cooling. I made this last night. Everyone raved about it! Thanks so much for letting me know. I LOVE this! Not only did I make this but it was unbelievably delicious. 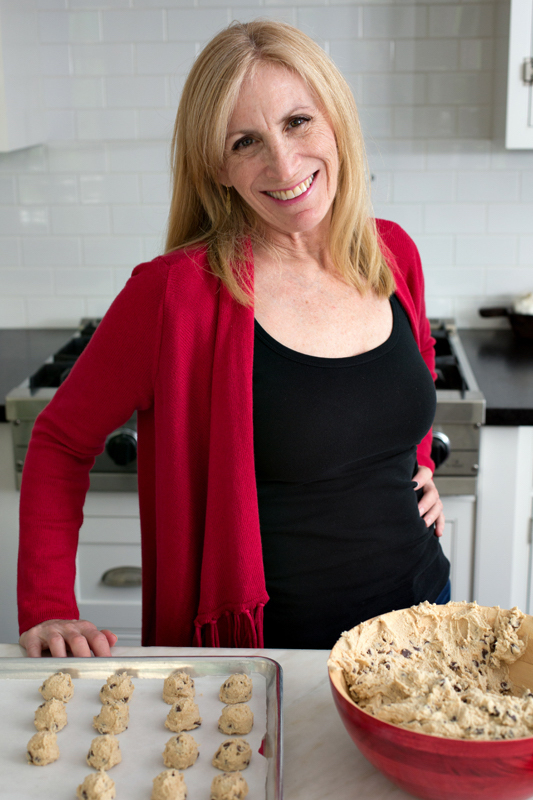 I had been intimidated at the thought of baking a tart, so it took me over a year to get up the nerve to make it. It could not have been easier and got raves reviews just as I anticipated, because I tasted it before I served it to anyone. 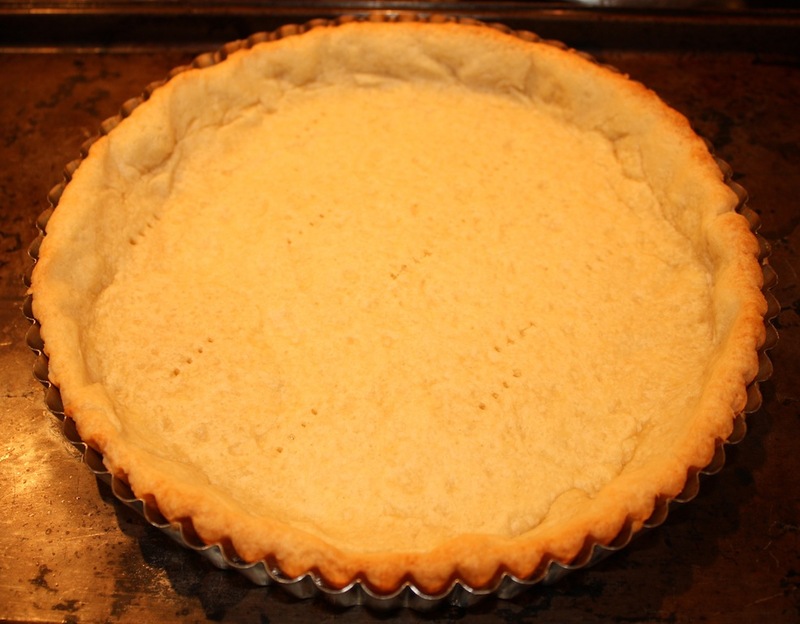 So, now that I am in expert in baking tarts, I want more tart recipes. How soon can I expect them? I will get RIGHT on that!!! Congrats on conquering tarts. WOOHOO!! Love reading this. Thank yoU! 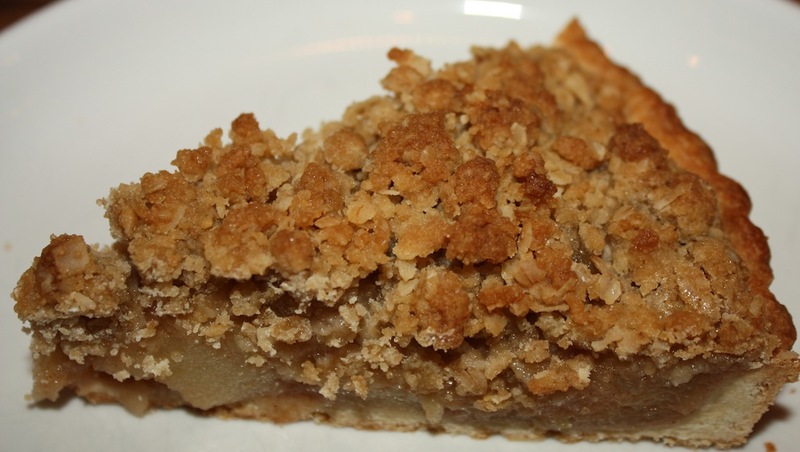 I love apple with a good streusel topping. It looks delicious! Thank you. There is something so yummy about this combination. 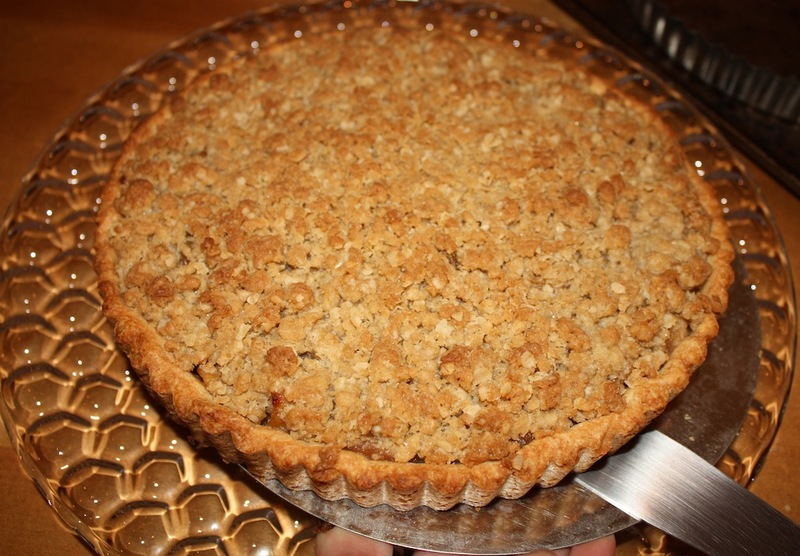 I love a crumb or streusel topping on apple pie. This looks lovely, and so right for the season! Thank you. 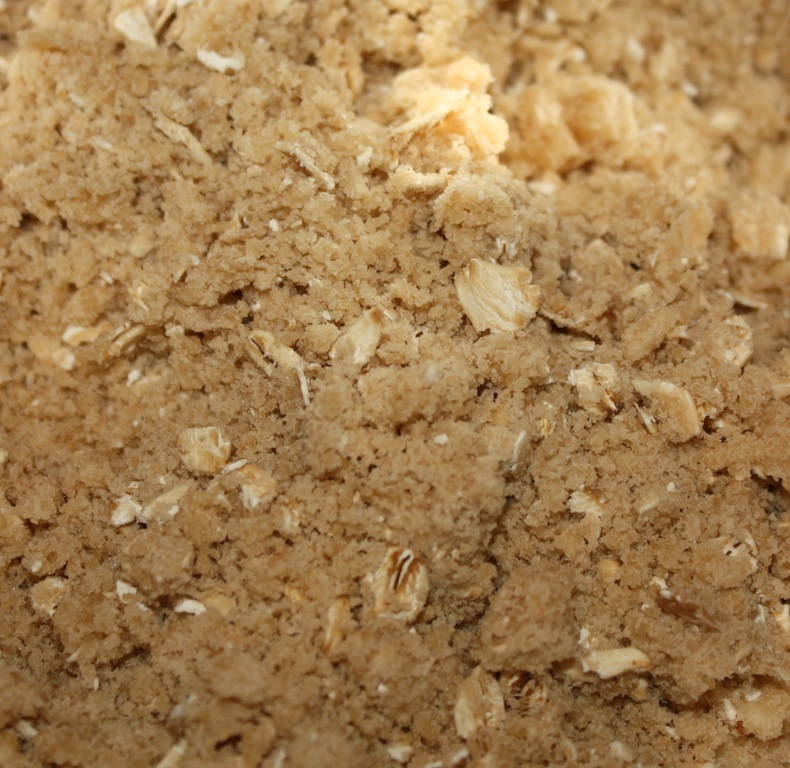 The ease of a streusel topping is so helpful during the busy holiday season. I love all things apple during the fall. This looks like it would be amazing! My family would be all over this. 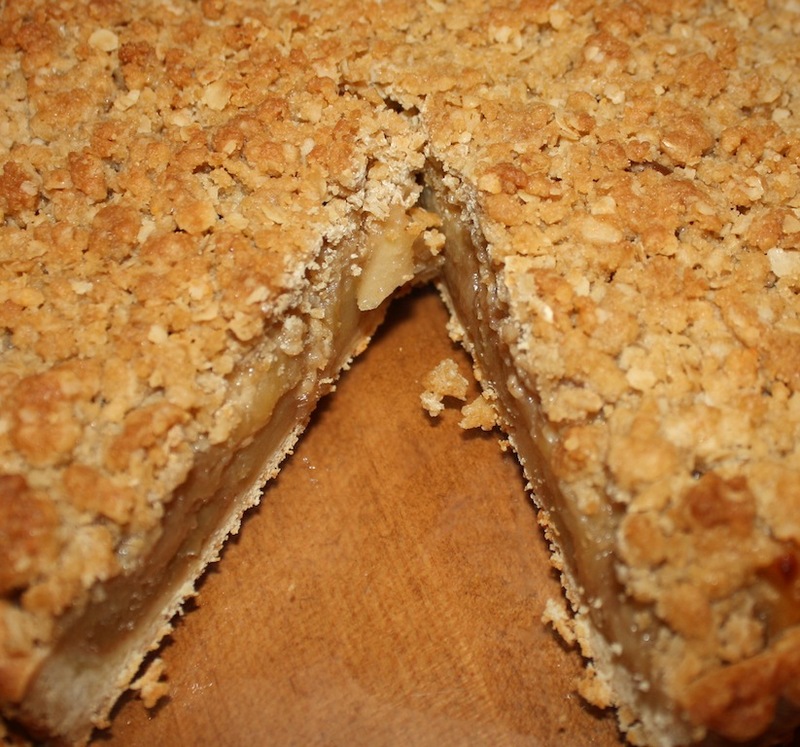 Apple pie is one of our favorites and a streusel topping is a must for us. Apple pie is my favorite and this one looks incredibly delicious! There’s something so yummy and comforting about apple pie! 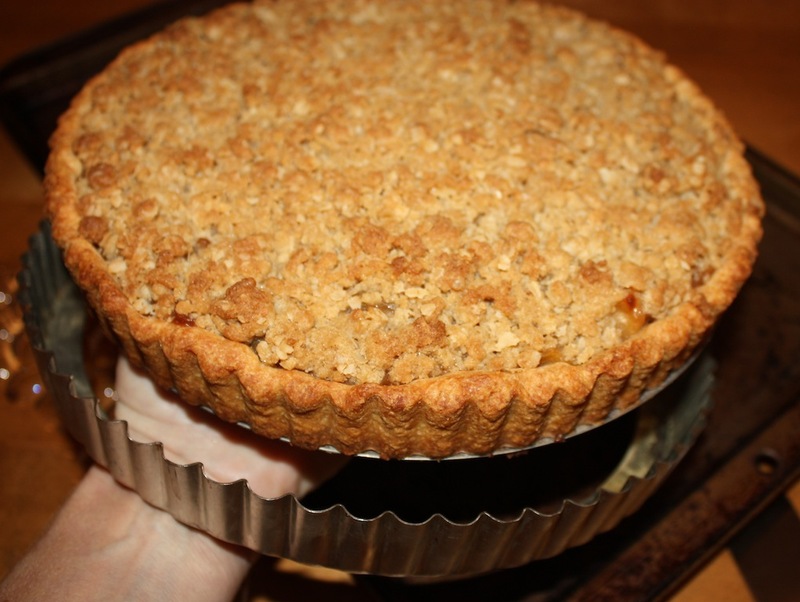 I love apples in all forms….and this Apple Streusel Tart Recipe looks so yummy and easy! I will definitely try this soon! Thanks so much. I’m with you on the apple love thing…they work all year long. Now you have me wondering where that expression came from, either way I love apple desserts and this tart sounds wonderful! Looks good! So you said you usually don’t use granny smith apples alone…do you feel like it really makes a difference in this recipe? They are actually my very favorite variety, so I would be fine using all granny smith, but wonder if it would be as good if you mixed them. Great question! I think Apple Streusel Tart will be as good if you mix apples. 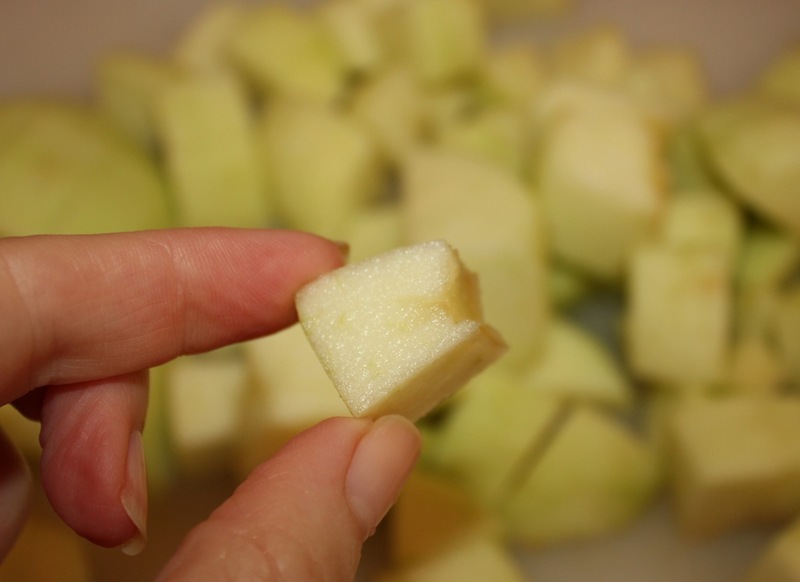 Because the topping is sweet, I choose to only use granny smith apples. Let me know if you mix it up a bit.